The Australian Bankers’ Association denies its members have been lobbying for more stringent restrictions regarding bank liability for negligent internet transactions. Media in both Australia and New Zealand recently suggested such pressure is being brought to bear. 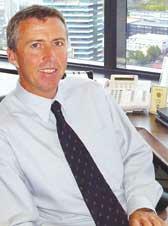 One newspaper suggested that what Australian banks do in this area could affect the New Zealand Banking Code of Practice, which is now in the final stages of a review, as most New Zealand banks are owned by Australian companies. The Australian Securities and Investment Commission (ASIC) is conducting a review of the voluntary Electronic Funds Transfer Code of Conduct (EFT Code), which it administers, and recently asked for submissions regarding this issue. A recent ASIC media release says one of the key issues to be examined as part of this review is “liability issues arising from the growth and growing sophistication of internet fraud”. However, as far as the Australian Bankers Association is aware, there has been no specific bank lobbying on the question as yet. An Australian Bankers Association spokesman said last week there had been no change to that position since then. “We are still consulting with our members,” he said. Meanwhile, the New Zealand Bankers Association’s review of the banking code of practice is nearly complete. It will be issued within “weeks rather than months”, says chief executive Alan Yates. There are a few points which association members are still discussing and some of these relate to responsibilities in the online banking environment, he says. But he did not want to release information prematurely on the code. The public comment period for the Australian code closes on April 13. However, little time remains for Australian banks to raise any concerns that might influence the revised New Zealand code before it is finalised. Hot topics not specifically covered include visits to phishing sites and inadequate protection against viruses and Trojans on customers’ computers. Spokespeople at the BNZ’s and the ANZ’s New Zealand head offices declined to comment last week on any input they had made to the local code.